I think i'm going to start a new segment called cover of the week (orginally by wondrous reads) in which I will put my cover of the week in the sidebar and create an accompanying post. 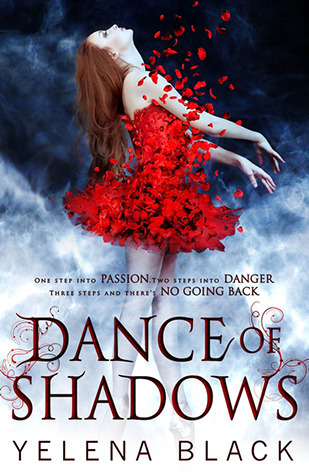 So this week the cover is Dance of Shadows. Now not only does this have an absolutely gorgeous cover, but it sounds amazing as well. Even just the tagline is fantastic. I really love this cover because it's simply so magical. The dress of petals is just gorgeous and the red just pops against the dark blue. The colours have been perfected and her pose and arms are perfect. I love the font as well and the patterns coming of them almost bending into the smoke around it. This cover is really gorgeous!